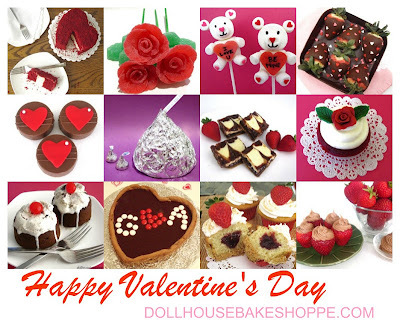 Valentine's Day is a month away and I am so excited about all of the fun sweets and treats I have to share with you. I am starting off with a few simple recipes this week that are quick and affordable. These little fudge bites are so easy to make and so versatile. You can use any type of chocolate you like, from dark to white and flavor them with a fun Valentine's themed extract like raspberry, strawberry or cherry! These are great to make for parties, work/school, or to give out as Valentine's day treats because they can be served and packages up so easily for a perfect little treat. You can cut the traditional squares of fudge, or pour it into cupcake liners (I used mini ones) for perfectly portioned, self-packaging, bite-sized pieces. To make it even simpler, you can even use the microwave instead of the stovetop to melt the ingredients, according to the directions on your package of chocolate chips! *You can use 4 cup (24 oz.) white or milk chocolate instead and omit the butter. Note that using white or milk chocolate will result in a less firm fudge compared to a semisweet based fudge. Line an 8 inch square pan with parchment or wax paper, so the paper hangs over the sides for easy lifting to remove the fudge. Combined chocolate, sweetened condensed milk, butter and salt in a medium saucepan. Stir over low heat until about 3/4 of the chocolate has melted. Remove from heat and keep stirring until chocolate has completely melted. Stir in flavor extracts. Spread evenly into prepared pan with a spatula to smooth out top. Place in the refrigerator for 2-4 hours until fudge is firm and set. Remove by lifting the parchment/wax paper flaps over the side of the pan, up and out. Cut into 1-inch squares and place in mini cupcake liners for serving. Add a heart sprinkles for garnish if desired.